Second Thursday of each month at 6 p.m. Contact us to express your interest and get location information. Motorcycle clubs, or "MCs," are the pinnacle of the motorcycle world. Exclusive membership creates a strong BROTHERHOOD through the deep personal commitment required of the lifestyle. Any thug can demand respect. However, as a true MC we command respect through the consistently mature and professional conduct of all our members. We relate to other clubs through mutual respect and protocols. We are proud of our BROTHERHOOD, our COLORS, and our CLUB. We recognize that every member flying our colors represents our club, so we are very selective regarding membership. Far More Than "Just a Club"
We are not a riding club or "RC"
Riding clubs like HOG, Goldwing Road Rider's Assoc, and Shadow Riders are examples of riding clubs that get together occasionally for rides. If you pay your dues or ride the right brand of bike you can enjoy casual group riding, but these clubs do not feature a deep personal commitment among members, nor collective club goals. 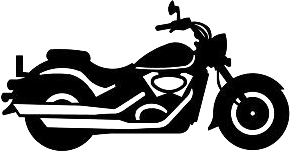 We are not a motorcycle association or "MA"
Motorcycle associations are groups whose members are drawn together by a common general interest in the motorcycle world. The American Motorcycle Association (AMA), the Christian Motorcycle Association, the Latin American Motorcycle Association (LAMA), and the Modified Motorcycle Association are a few examples of associations with rich histories that have been very beneficial to the motorcycling community. Nevertheless, association members do not necessarily have to be riders, and membership criteria tend not to be very exclusive.